Indulgent Cinnamon Buns are a sweet treat that is similar to a cinnamon roll but are extra indulgent. 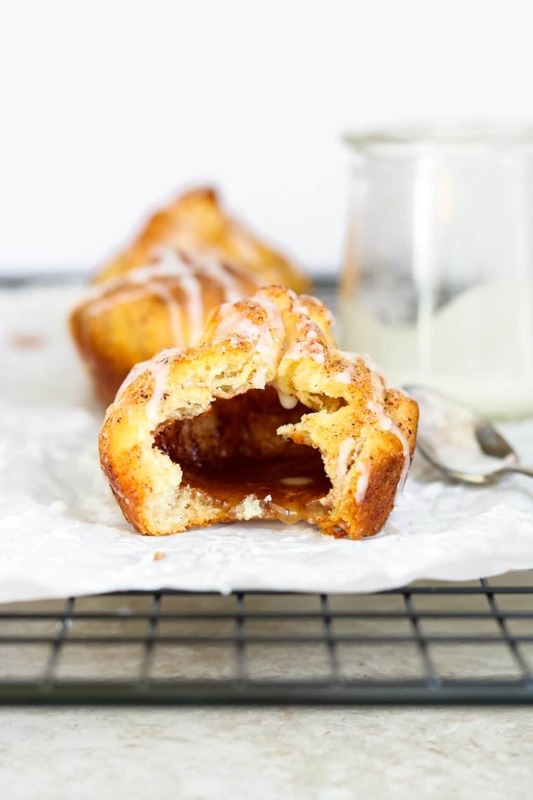 A crescent roll is wrapped around a cinnamon sugared marshmallow and when it bakes the marshmallow melts and leaves the cinnamon bun hallow with a sticky bottom. The inside is full of delicious cinnamon and sugar. Then you drizzle the outside with a powder sugar glaze that takes it right over the top! 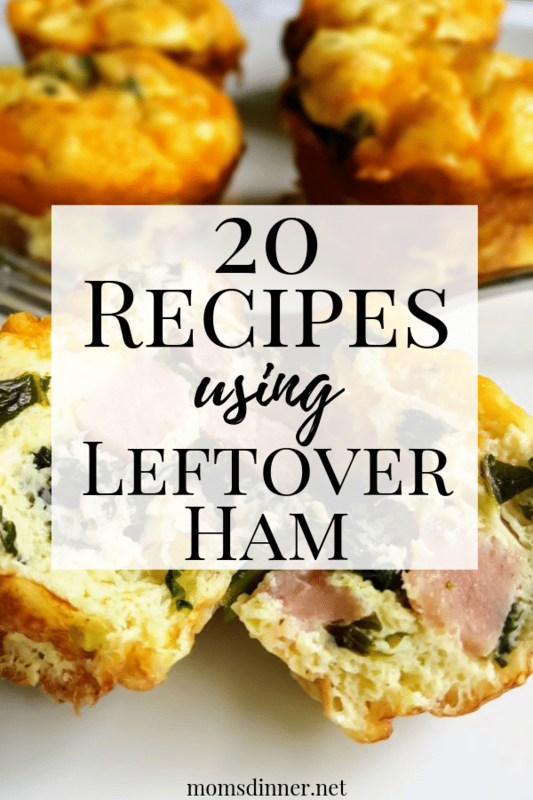 This little treat would make a great addition to a breakfast or brunch buffet. Just add my Cranberry Orange Sweet Rolls & Banana Bread Muffins for a perfect assorted pastry basket. 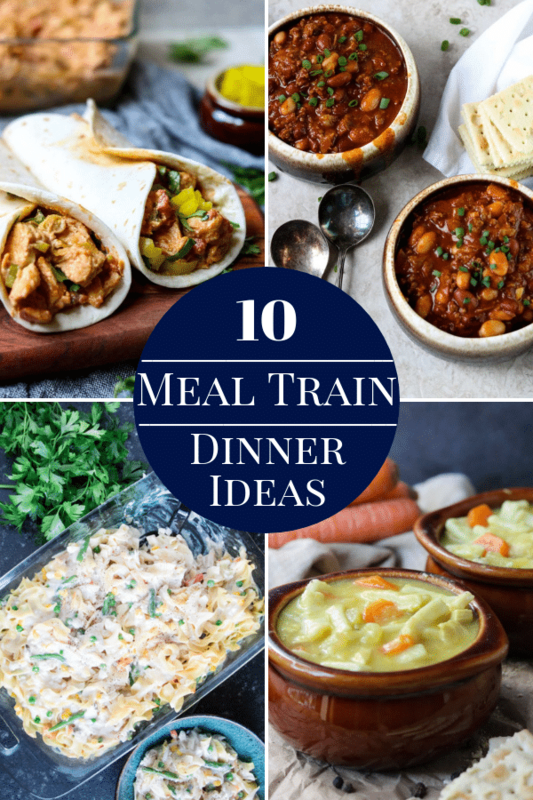 They would also go GREAT with my Classic Chili for a perfect fall or winter dinner! 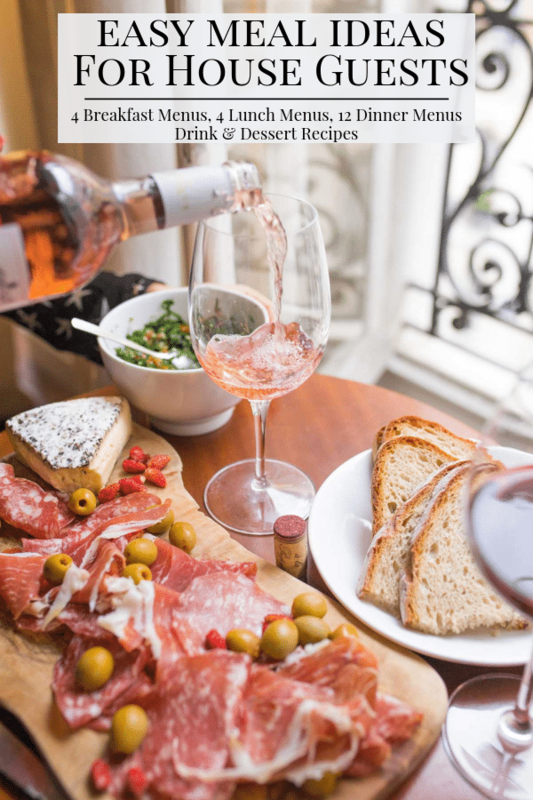 This is a pretty easy recipe especially because you use store-bought crescent dough, which makes the recipe easy enough for the kids to help. My daughter helped me make this batch. She was able to roll the marshmallow in the melted butter and the cinnamon sugar. Then I folded it into the crescent dough. She also was able to drizzle the outside with butter and then sprinkle on the cinnamon sugar. While they bake the kids can definitely help make the powder sugar glaze, and spoon it on once the buns come out of the oven. 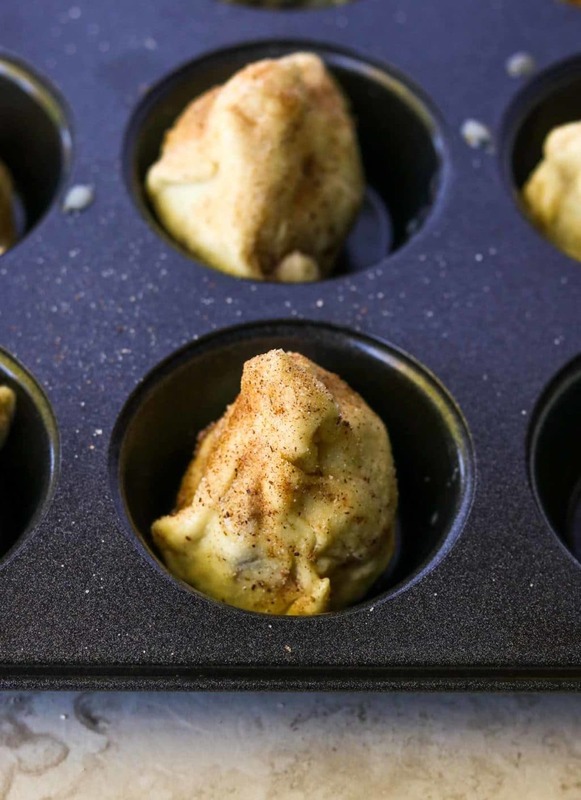 Preheat the oven to 375 and grab a muffin tin. In a small bowl melt the butter in the microwave. In a separate bowl combine the cinnamon and sugar. Gently roll each marshmallow in the melted butter and then in the cinnamon sugar mixture. Wrap the crescent roll around the marshmallow making sure to pinch all the seams closed. This does not have to look pretty… just make sure the seams are sealed or the marshmallow will seep out of the seems (which may happen on one or two anyways, they are still good though). After the marshmallows are wrapped in the dough, drizzle the crescent with a little butter and then sprinkle with cinnamon sugar. 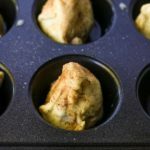 Place the buns in the greased muffin tin cups. Bake for 10-13 minutes until they are golden brown. While they cook make the Powder Sugar Glaze. Simply mix together a 1/2 cup of powder sugar and 1 tablespoon of milk or water. If the consistency is to think add a drop of water or milk at a time to get to a thick yet stirrable consistency. Once the Cinnamon Buns come out the oven let them cool for about 5 minutes. Then remove them from the muffin tin. You may have to run a knife around the edge to get them out, especially if the marshmallows seeped out of the sides. Place on a cooling rack or on parchment paper and drizzle with the Powder Sugar Glaze. They are best eaten right away, or with in a day or two. 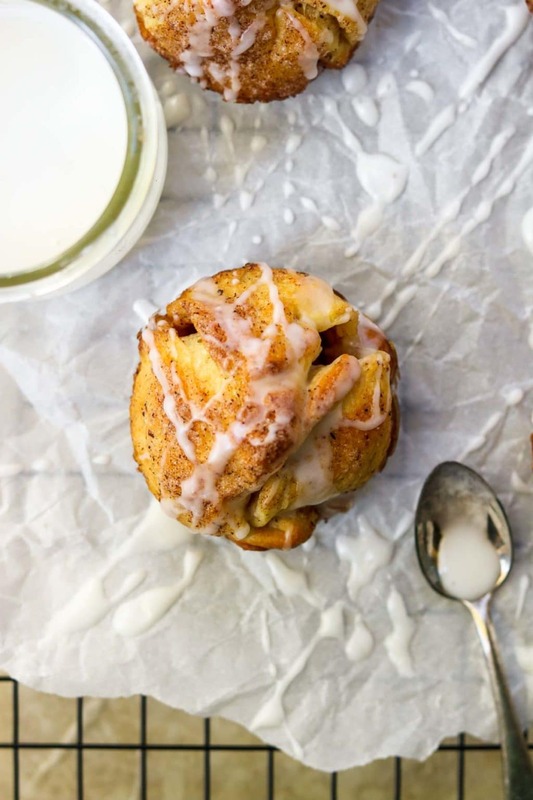 I hope you give these Indulgent Cinnamon Buns a try in your kitchen. Indulgent Cinnamon Buns are like cinnamon rolls on the next level. A marshmallow is dipped in butter and cinnamon sugar, placed inside a store bought crescent roll and then baked. 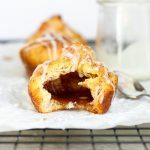 Drizzle with Powder Sugar Glaze and you have a show stopping breakfast or brunch pasty, or a side dish for chili! Preheat the oven to 350 degrees and prepare a muffin tin by lightly greasing each cup with oil or nonstick spray. 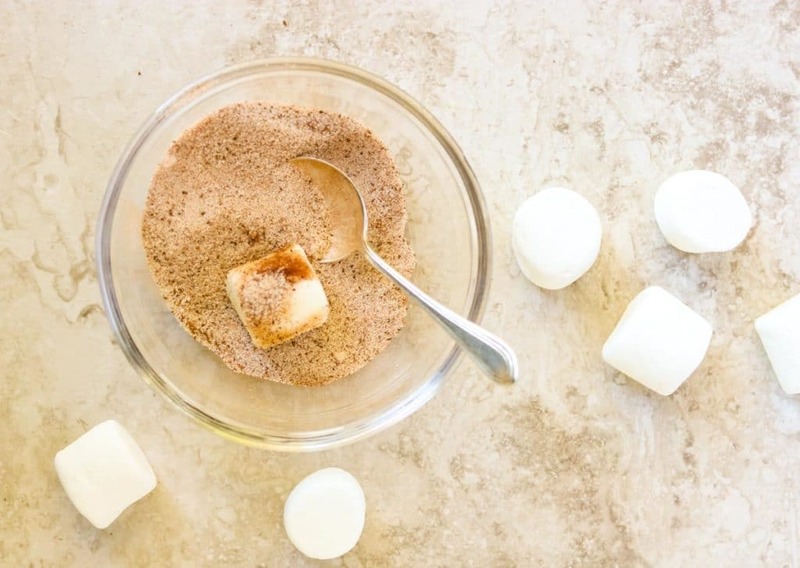 Dip the marshmallow into the melted butter and then lightly roll the marshmallow in the cinnamon sugar mixture. Wrap a crescent dough triangle around the marshmallow and crimp all the seams closed. This does not have to look pretty (see photo). Drizzle a little butter over top of the crescent and then sprinkle with cinnamon sugar. 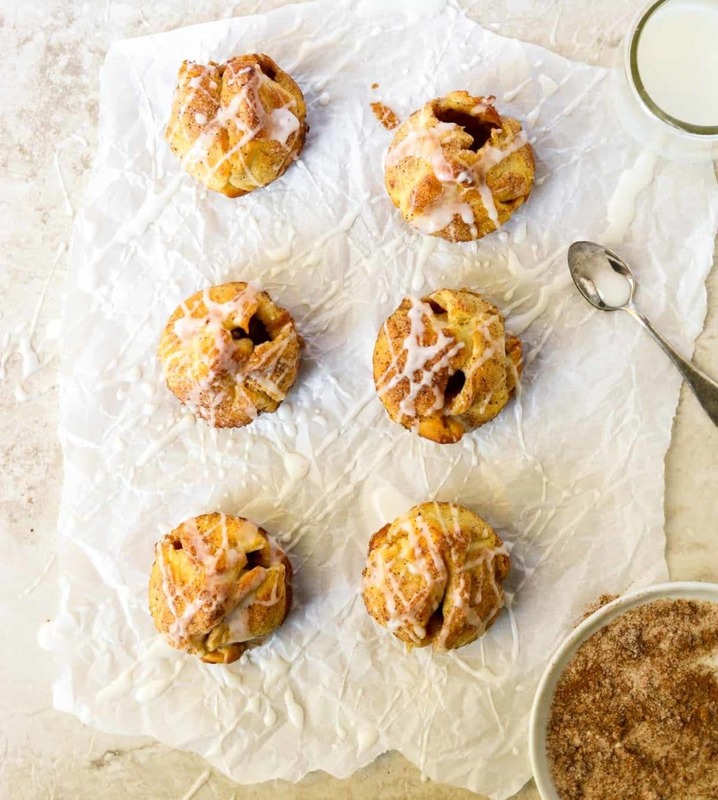 Place the cinnamon buns in the prepared muffin tin and bake for 10-13 minutes, until they are golden brown. Don't worry if some of the buns pop open and marshmallow spills out, they are still delicious! You may need to run a sharp knife around the edge of the buns to get them out of the pan. Let the cinnamon buns cool on parchment paper or a cooling rack for about 5 minutes, then drizzle with powder sugar glaze. while the buns bake make the powder sugar glaze. In a small bowl mix together the powder sugar and milk or water. Stir until it is all incorporated. You may need to add a drop of two of additional milk or water, but don't add too much, you want a pretty thick consistency because the frosting will melt over the warm cinnamon buns. How fun are these! My kids would love the disappearing marshmallow trick! 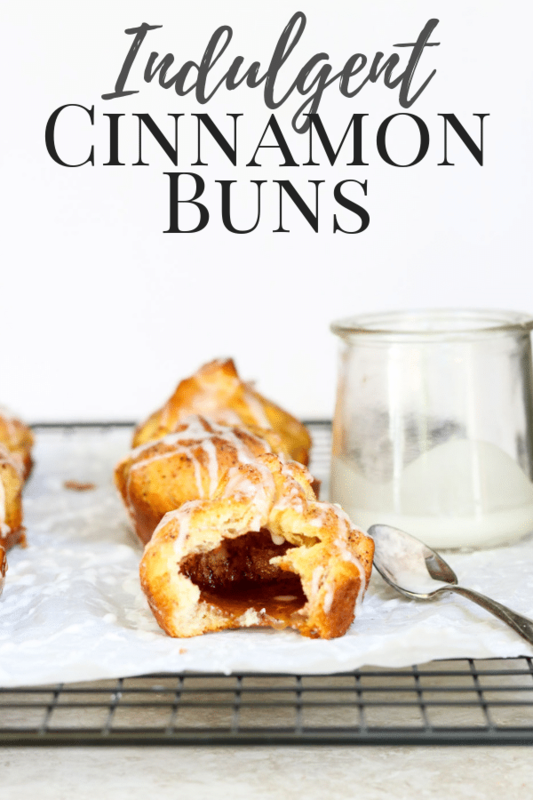 I loved these cinnamon buns – indulgent is the perfect word to describe. I over-indulged! OMG Susie, these look like the best things ever!! I love the malted marshmallow in the middle. What an awesome idea! !I totally need to make these. Pinned! 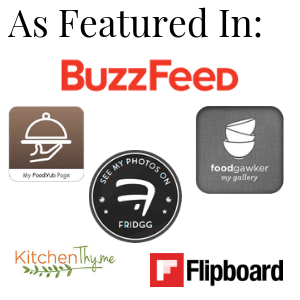 Thank you for saving the recipe! They are super indulgent for sure.